Worship has to lead us to acts of justice and mercy. That’s the thread running through a new UK tour heading out in May. 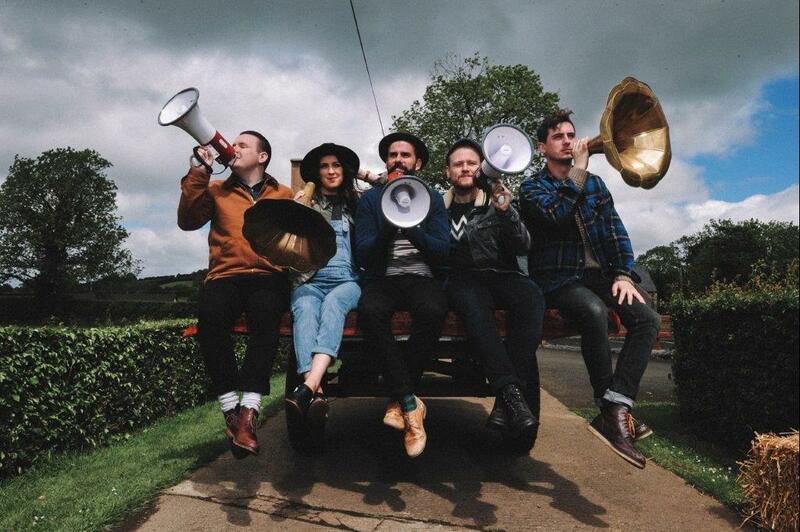 Rend Collective, the Northern Irish Christian experimental, folk-rock worship band are encouraging fans across the UK and Ireland to view worship being more than simply singing, but an act of justice and supporting children in the developing world, through their latest partnership with international NGO, World Vision UK. The partnership, which includes a national tour visiting 18 UK venues and one in Dublin, has given Rend Collective and representatives from World Vision the opportunity to raise awareness of the plight of many children throughout the developing world. Those who attend the concerts will be encouraged to sponsor children being supported through World Vision projects. The tour shares its name with the band’s latest album Good News, which features all new songs and focuses heavily on their passion to marry worship and justice. World Vision works to improve the lives of the world’s most vulnerable children by working closely with communities to tackle the root causes of poverty. They work alongside communities in close to 100 countries to bring about long-term change and responding quickly to emergencies that affect more than 250 million people around the world each year. Tim Pilkington, CEO of World Vision UK, says “Rend Collective are well known around the world for their unique brand of inspiring and worshipful songs. But what really stood out for us was their passion to be a catalyst for justice in the world – particularly for the most vulnerable children. We are delighted to have been able to partner with them on the Good News tour and are hugely grateful that they are lending their voice to our vision for a world in which every child has the chance to live life to the full." The tour has been travelling the length and breadth of the country throughout February 2018 and continues in May 2018 visiting Cardiff (10th), London (12th), and Manchester (13th) before heading to Scotland and Ireland later in the month. To book tickets go to https://rendcollective.com/pages/tour.